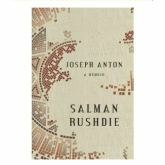 Yesterday, Salman Rushdie released his new book, A Memoir: Joseph Anton. After his book The Satanic Verses was published, as some might remember, he was sentenced to death with a fatwa by Ayatollah Ruhollah Khomeini, on Valentine’s Day in 1989. Obviously that didn’t stop anyone from taking offense. He came out of hiding in 1998 when the Iranian government renounced the threat. Salman Rushdie is an Indian-Muslim, born in Bombay, who was living in England at the time of the deadly fatwa. He is the author of 11 books and the Man Booker Prize winner with Midnight’s Children in 1988. Joseph Anton was the alias he had to create for himself, combining the names of Joseph Conrad and Anton Chekhov, during his police protection years. The memoir revisits his years in hiding. New Yorker published a lengthy excerpt last week. This is not the type of a memoir you are used to. It’s written in the third person point of view, a deliberate distanced voice, but seems to reflect an honest story. You can easily feel his pain, misery, and shame lived under the death threat. He had to survive for almost 10 years under the fatwa. There are interesting details about his parents and first wife. But it’s a long book, 650 pages, much of it filled with depression and helplessness. A Memoir: Joseph Anton is already longlisted for the prestigious Samuel Johnson Prize for Non-Fiction 2012. The winner of the prize will be announced on 12 November and will receive 20,000GBP. Have you already read the book? Leave your thought about it below. Just watched his interview with Jon Stewart. Very interesting. There was a video-chat iin Goodreads, you can find it here… http://www.goodreads.com/topic/video_chat/51?